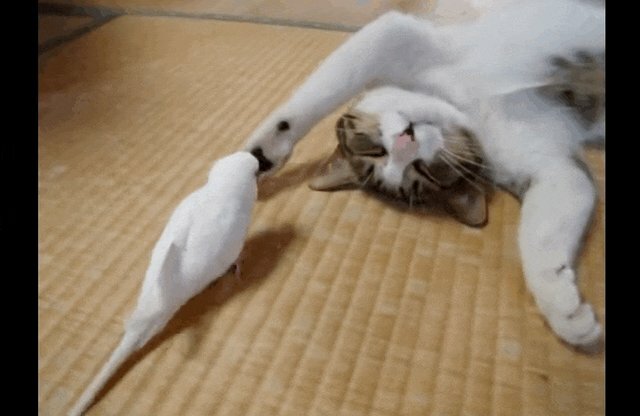 You know when you're soo comfy and sleepy and someone is trying really hard to wake you up? Yeah. That's pretty much what's going on here. "Hey. Hey. Wake up. Hey." 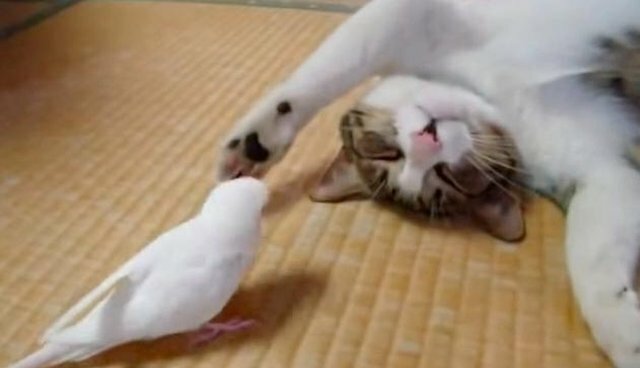 This bird is super persistent, but his cat friend reeeally doesn't want to get up so he's all like, "Blergh ... let me sleep." 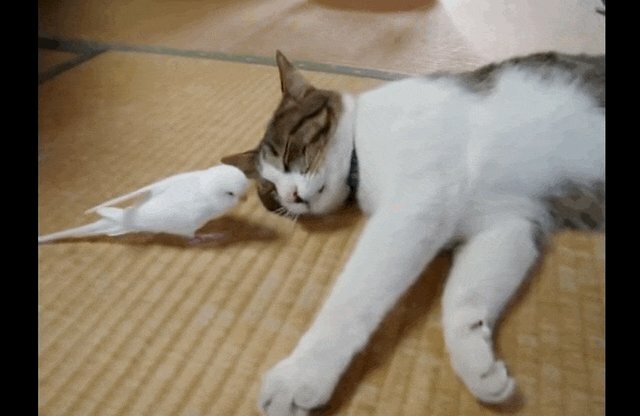 Sometimes you just need a buddy to wake you up, you know?